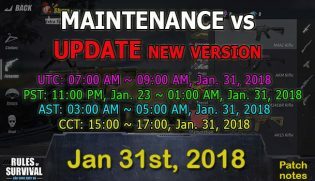 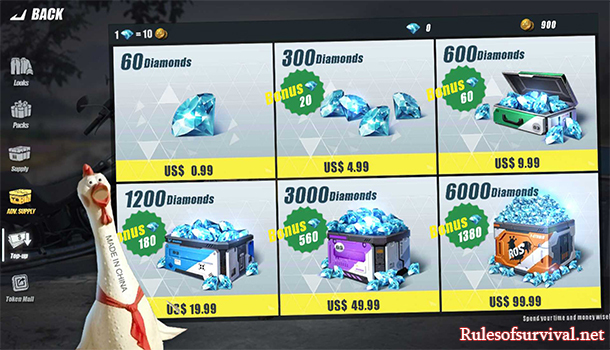 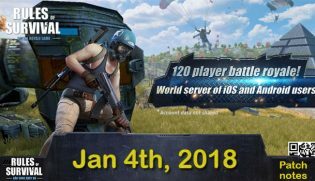 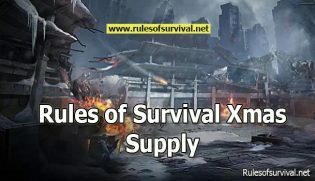 It’s so great to have so diamonds in Rules of Survival. 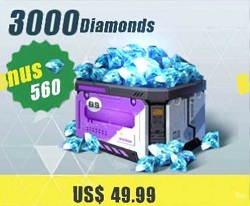 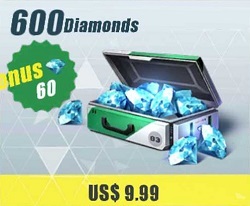 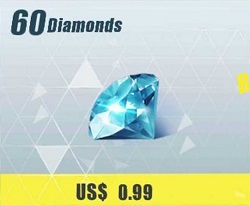 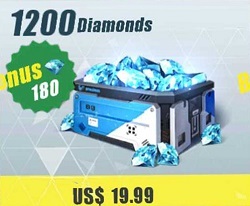 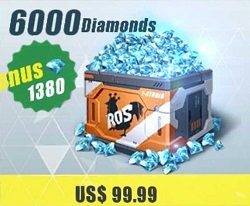 Now you can totally purchase them at many good prices, ranging from US$ 0.99 to US$ 99.99 with the different number of diamonds. 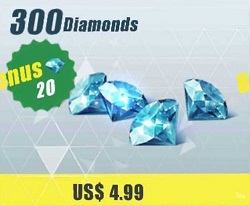 Keep in mind that purchasing diamonds will cost your real money.